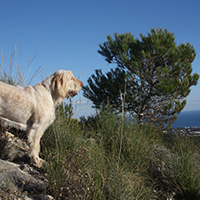 Since the introduction of the Pet Travel Scheme on October 1st 2001, and the ‘relaxing’ of the scheme in 2012, many owners now enjoy travelling abroad with their four-legged companions. Here, we will outline the requirements of the Pet Travel Scheme, which is enforced for human protection! Then we will offer further advice on how to keep your pet safe when you travel. 21 day wait before travel from date of vaccination. For those countries not approved, the requirements include a Rabies Antibody blood test at least 30 days after vaccination. Antibody levels must be high enough to pass the requirements for the Pet Travel Scheme or re-vaccination may be required. If the blood test is satisfactory, then the pet will be allowed to enter the UK three calendar months after the date the blood sample was taken. Please note that the date of sampling is counted as day 0 and not day 1. On return to the UK your dog needs to be treated for Tapeworm. Tapeworm rules apply to pet dogs only. Not less than 24 hours and not more than 120 hours (1 to 5 days) before its scheduled arrival time in the UK under the Pet Travel Scheme, your dog must be treated against tapeworm, and the treatment recorded in the EU pet passport or the third country official veterinary certificate. 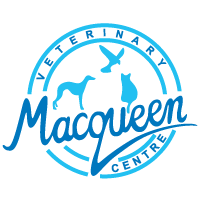 The above deals with the main points of the Pet Travel Scheme, for full information visit Pet Travel Information for Pet Owners. Babesiosis: Spread by Tick bites, a serious disease that infects and destroys red blood cells causing anaemia and jaundice. Ehrlichiosis: Spread by Tick bites, affects the white blood cells, signs are difficult to spot. Leishmaniasis: Caused by a parasite which is spread by the Sandfly. A serious condition with a wide range of symptoms that can present a long period after infection. A vaccine is available from the practice, please call us to discuss. Dirofilariasis (Heartworm): Spread by Mosquito bites to dogs and cats, once infection has been acquired, the prognosis is poor so prevention is best! Echinicoccus multiocularis (Tapeworm): Humans can acquire this tapeworm from their dog and, once infected, there is no cure and life-long treatment will be required. Under the scheme your pet will be treated for this on your return to the UK. These diseases are all spread by parasites. Now, don’t worry too much, there are parasite control regimes you can use before, during and after your holiday to protect you and your pets. Visit the Canine Vector Borne Diseases Website for more information and to assess the disease risk in your country of destination. Please book a FREE appointment with our clinic nurses to receive a tailor-made plan for parasite prevention for your pet. We are happy to give advice on all the issues discussed here, to help you and your pet have a safe and enjoyable trip.